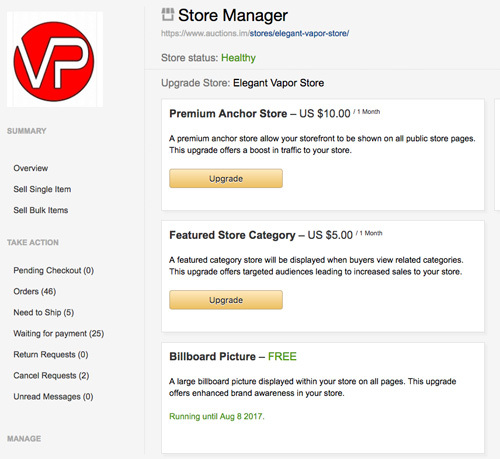 A premium anchor store upsell will allow the seller storefront to be shown on all public store pages. This upgrade offers a boost in traffic to a customer store. Enable or disable this feature, set a price and duration of the feature. 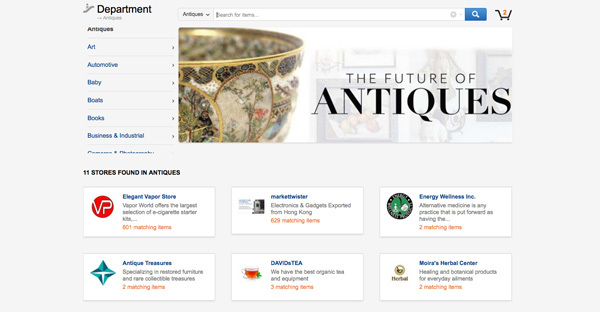 A featured category store will be displayed when buyers view related categories. This upgrade offers targeted audiences leading to increased sales to the store. A featured category store will be displayed when buyers view related categories. This upgrade offers targeted audiences leading to increased sales to your store.